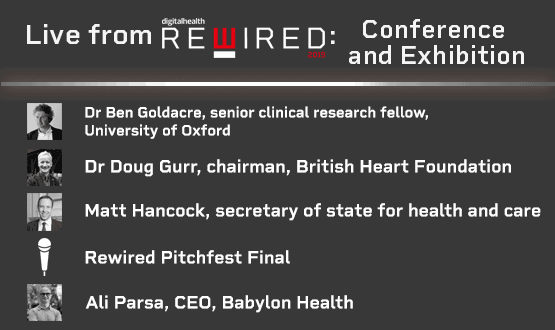 Data analytics in healthcare is fundamentally broken and mistakenly focused on academic pursuit rather than actionable insight, Dr Ben Goldacre has told a packed audience at Digital Health Rewired. Dr Goldacre delivered one of the opening keynotes at the event, which is taking place at London’s Olympia. The clinician, academic, author and journalist – who runs the University of Oxford’s Evidence-Based Medicine (EBM) DataLab – argued that data needs to be used to “tap people on the shoulder” and alert them to potentially sub-optimal practice. But he suggested that the competitive funding available for healthcare analytic research is too often spent on “20th century academic models, people doing trials, people doing cohort studies, all focused on producing academic papers”. While he said he is one of those who bids for and wins that money, he added that solely employing this sort of model “is not the best way to spend public resources in using data to spot and fix problems in healthcare”. 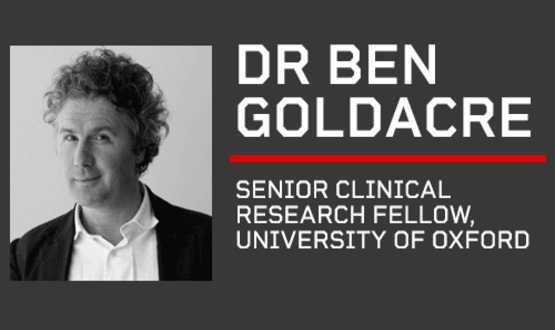 Dr Goldacre – who chairs Matt Hancock’s Healthtech advisory board – also contended the prevailing system creates an unhelpful “snootiness” around implementation of analytics. “You will learn 1,000 times more trying to ship tools to people who actually use it and listening to their feedback than you ever will sitting delivering one paper that tales a year to get published in a journal,” Dr Goldacre argued. He continued: “Why, when the secretary of state for health and social care – who for the first time ever is a proper nerd, properly interested in this sort of stuff – is casting around for examples of integrating examples of stuff being done with data, why aren’t there five or 10 or 20 departments of clinical informatics going: ‘Here it all is, here are the things we’ve shipped’? He suggested the situation was compounded by a closed approach to data, meaning those who are working on tools which offer immediate insight are stymied in their efforts. He pointed to a wealth of data that exists but that “we’re not allowed to touch, or it’s shared badly”. 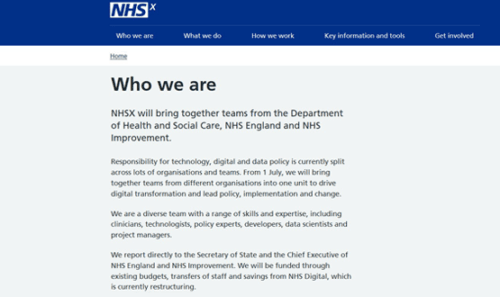 “AHSNs [academic health science networks] and CSUs [commissioning support units] are, I’m sure, stuffed full of people doing absolutely fantastic analytic work, but I’m not allowed to see any of it. None of it is documented,” Dr Goldacre added. And the problem persisted with national datasets, he said. That notably includes hospital medicines usage data, the model hospital work being led by Lord Carter to help improve efficiency and productivity, and the Getting it Right First Time (GRIFT) programme which aims to remove unwarranted clinical variation. He expressed particular concern that the GRIFT data analysis was being outsourced by the NHS, “so the system doesn’t learn from it”. Bravo Ben. This is what analytics and audit should be about. Creating actionable insights. I like that OpenPrescribing is sending targeted actionable insights by email to practices. This should improve performance – but does it? Is it ethical to do a RCT on this to estimate and quantify the benefits of this approach? Well said Ben it is the apps which help use the patient’s data to help the patient that are the most important and they will encourage the use of IT to improve the efficiency of consultations and quality data coding all for the individual patient’s benefit. As you say management audits, costings and academic research must be secondary not the primary purpose of health IT. “…. there is no barrier to us accessing the data that is in any sense technical” This is not true, although it’s not the reason for the problem Ben describes. Patient data is spread across thousands of systems each with their own proprietary format and paper – Really hard to get at in a usable form. This said we should do what Ben suggests with the data that is available. 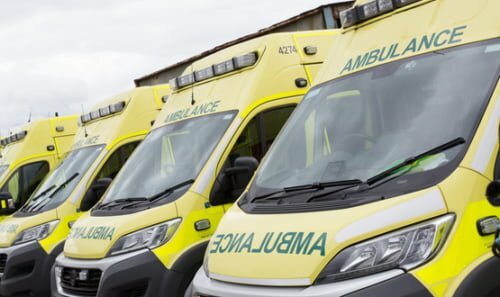 Problem is that data analytics and providing actionable insights in the context of Health Care particularly within the NHS is a new development, the approaches and enhancements in this space are coming from academia and very few trusts or systems are ready to use data in such a way. 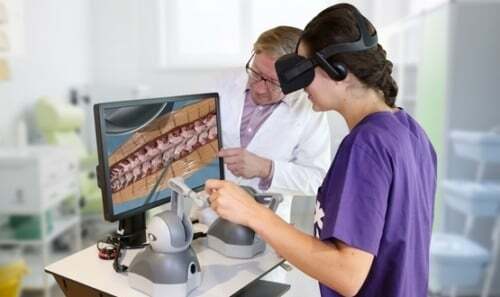 Focus should be on growing the expertise within the NHS but whilst acknowledging that in the short term academia (and more so industry) is advancing work in data analytics faster than the NHS. Perhaps the middle ground is to encourage further industry, academia and NHS collaboration to deliver the actionable insights the NHS needs? Well said. So where did all the money go? Blame which leads fear which leads to secrecy. If we focused on learning from the data and analytics to support a learning health care system life would be rosier. With more than 100 speakers across eight tracks, we have a packed day ahead at Olympia London with registrations opening at 8am.